Macquarie alumna Skye Cleary has penned a new existential study on romantic love. Her book, Existentialism and Romantic Love, draws on five existential philosophers to offer insights into what is wrong with our everyday ideas about romantic loving, why reality often falls short of the ideal, what can be done to overcome frustrations and disappointments, and possibilities for creating authentically meaningful relationships. Previously an international equity arbitrageur and management consultant, and a taekwondo and flying trapeze enthusiast, Skye holds a PhD and MBA from Macquarie University. She is currently based in the United States, where she works at Columbia University, teaches as part of the New York Public Library lecture series, was a co-founder of the Manhattan Love Salon, and is a Certified Fellow with the American Philosophical Practitioners Association. Drawing on the thoughts of Max Stirner, Soren Kierkegaard, Friedrich Nietzsche, Jean-Paul Sartre and Simone de Beauvoir, the book argues that existential philosophies reveal to us the notion that once lovers free themselves from preconceived ideals about how romantic lovers ought to behave, and free themselves from being slaves to their passions, they will be free to create relationships that complement and enhance their personal authentic endeavors. 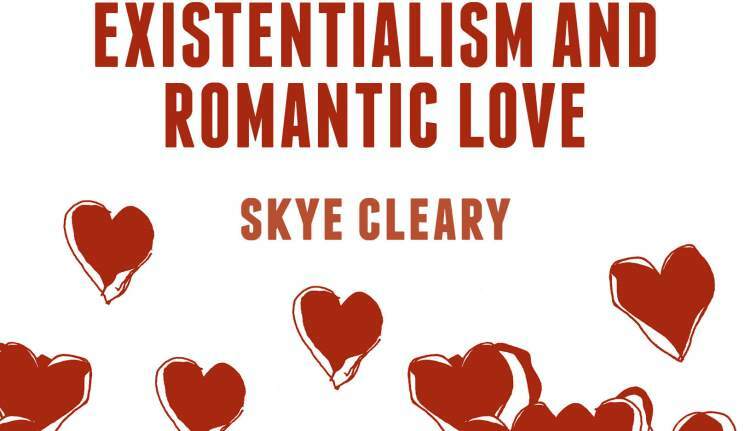 “Existential thinking lends itself well to the problems of love, since it turns abstract thought into dealing with concrete human experiences and relationship dilemmas,” Skye says. “It provides the narrative to explore the space between the ideals of romantic loving and the compromises and sacrifices lovers make in order to try to achieve those ideals. Existentialism and Romantic Love will be published this month by Palgrave Macmillan.